This article gives plain explanations to 10 of the most common insurance terms in order to help you make sense of it all. Knowing the language of health insurance was a preserve of the insurance companies and agents. 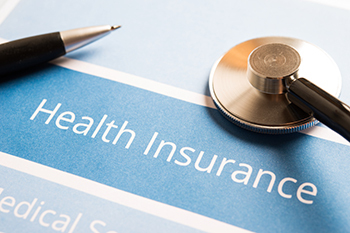 However, it has become increasingly important for health insurance customers to understand the jargon of health insurance in order to be better acquainted with the circumstances that would lead to declined claims, understand policy coverage and realign their resources as well as their families to fully maximize on the product. Claim: A demand by a covered person or by their health care provider, for the insurance company to meet their medical expenses. Benefit this is the sum payable by the insurer to the insured for medical costs incurred. Copayment is one of the methods you share in your healthcare costs. By paying a flat fee for predetermined medical expenses (e.g. Rs 500 for a visit to the specialist doctor), the insurance company on their part will pay the rest. Effective date is the date which an insurance policyholder's coverage commences. Exclusion or limitation refers to any particular circumstances, disorder, or treatment that a medical insurance plan does include in its cover. Group health insurance a health insurance plan purchased by an employer or through an organization that covers the adherents in that group and their dependents under a solitary policy. Individual health insurance these are medical insurance plans procured by individuals to provide cover for themselves and their families. The period of time which a company makes a new worker wait before he or she qualifies for coverage under the company's group health plan (this usually coincides with the company’s probation period for new employees. It also refers to the time between a policy's effective date and the date which a health plan can pay benefits for certain pre-existing conditions. During this period, the policy cannot pay benefits to the pre-existing condition. Provider: any personnel (nurse, dentist, doctor) or institution (clinic or hospital) that delivers medical care.